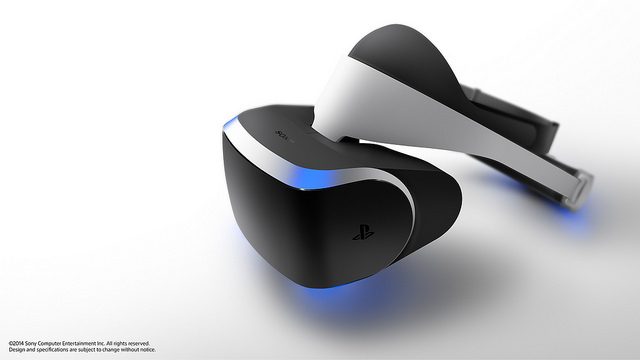 Sony recently revealed that they are creating a Virtual Reality Headset for the PS4. Apparently it has been in development since 2009. The headset has a 1080p display, 1000HZ motion detection and it is connected to the PS4 by a wire. It also has positional and rotational head tracking capabilities. It will be interesting to watch the Oculus Rift and Sony’s Project Morpheus develop. I think the Virtual Reality Headset is a really cool concept. In order for the concept to work Sony says they need to get the sight, sound, tracking, control and ease of use perfect. They also mentioned that the content is very important. Virtual Reality may be the next evolution in Gaming! The Nintendo 3DS XL is the best handheld system currently on the market. The handheld isn’t the most powerful but it has the best library. It has a better library then the Playstation Vita and any other handheld system currently on the market. It is the games that make or break a system and the 3DS has a vast library of games. What I like about the 3DS XL? I already stated that I love the library of the 3DS XL; it has a nice selection of games. I also like how big the screens are on the 3DS XL. The top screen is 4.88 inches and the bottom screen is 4.18 inches. I recently had no problem playing through Donkey Kong Country Returns for the 3DS. It is a Wii title that was ported to the Nintendo 3DS. I also like the placement of the stylus on the XL. It is placed on the side of XL and it is easy to access when playing a game that requires the stylus. I am also a fan of the home, start and select buttons on the 3DS XL. They are clickable and work considerably better then the ones on the original 3DS. I am excited because the selection of games is getting even better this spring. Some of the games that are coming out include Yoshi’s New Island, Mario Golf World Tour and Kirby: Triple Deluxe. What I don’t like about the 3DS XL? I don’t care for the sound quality on the 3DS XL. It isn’t very loud when playing a game or watching a video on Netflix. However, this isn’t that big of a problem considering that I can just plug in a set of headphones. I also don’t like the the power button; it is hard to start up the system. The power button should stick out a little bit more. I also wish that the Nintendo E-shop on the 3DS included GBA games. The GBA has a huge selection of excellent games that would make the 3DS library that much better. Overall the 3DS XL is a solid and very capable system. I got my 3DS XL this December and so far I have been playing The Legend of Zelda: A Link Between Worlds, Donkey Kong Country Returns, Pokemon Y and Luigi’s Mansion: Dark Moon. I have enjoyed playing all of these games and I can’t wait to play more games on my 3DS XL. I give this system a 9 out of 10. The Playstation 4 is doing extremely well; as of March 5th, 2014 the system sold over 6 million units. I think that the Playstation 4 could have more success then the Playstation 2 and Playstation 3. Software sales for the PS4 have also reached 13.7 million. I really like how Sony is focusing on the core gamer with the PS4. Microsoft is to focused on an overall media center with the Xbox One. I think it is hurting the Xbox brand.